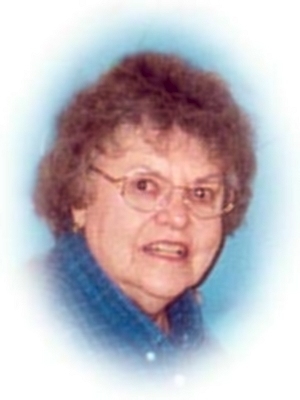 Obituary – Kelley, Marion Faye (Bobbitt) « Perry High School Alumni Association, Inc.
Marion Kelley, 75, of Perry, Oklahoma was the daughter of Clifford Thomas and Ella Bechtold Bobbitt. She was born May 6, 1928 in Sand Springs, Oklahoma and died at 1:30 p.m. Saturday, June 7, 2003 at Perry Memorial Hospital. Marion attended Oklahoma AM at Stillwater. On February 8, 1948 she and Calvin Kelley were married at Stillwater, Oklahoma. She moved to the Perry community from Sand Springs 65 years ago. Marion was affiliated with the Presbyterian Church. She was a homemaker who had been employed as a school cafeteria worker and at Wal-Mart. She was a volunteer at Operation Blessing of Perry. Graveside services will be at 2:00 p.m. Tuesday, June 10, 2003 at Grace Hill Cemetery. Rev. Steve Smith will officiate. Arrangements are under direction of Brown-Dugger Funeral Home. Memorials may be made to Operation Blessing in care of Brown-Dugger Funeral Home. 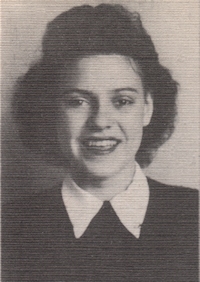 In addition to her husband, Calvin, Marion is survived by one son, Ed Kelley, Oklahoma City, Oklahoma; two daughters, Roberta Hodge, Lilburn, Georgia, and Jeannie Sullins, Oklahoma City, Oklahoma; one brother, Charles Bobbitt, Dewey, Oklahoma; two sisters, Carol Ritthaler, Elk City, Oklahoma, and Pauline Goad, Oklahoma City, Oklahoma; and seven grandchildren. Her mother and father preceded her in death.